Last night, while walking down the bustling (bustling? since when is downtown Napa bustling?) streets of Napa, something caught my eye. It was new, it was eye catching, and it was naked. 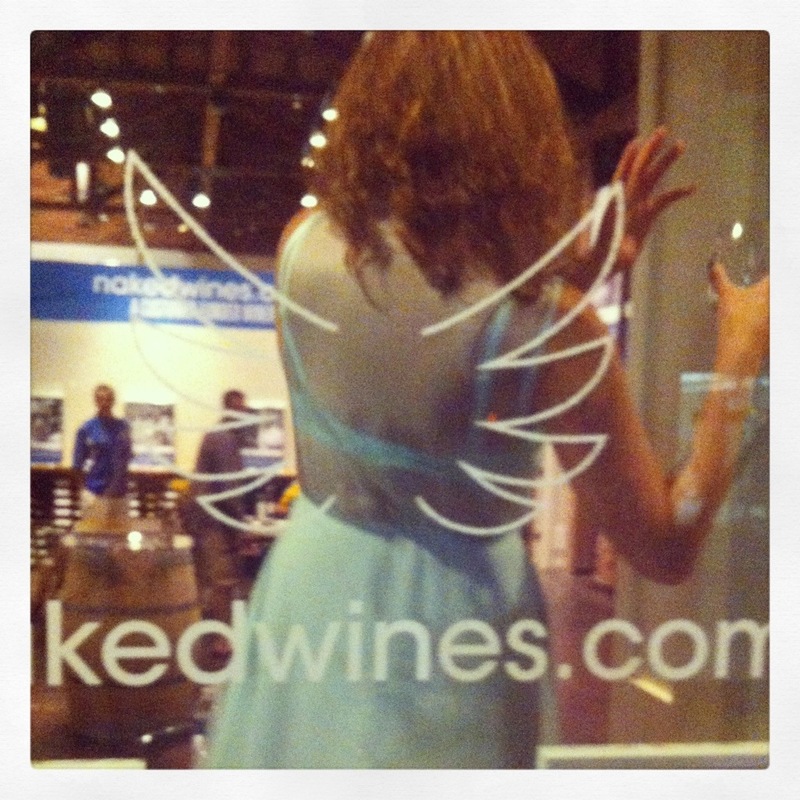 NakedWines.com is a storefront that just opened up this week and had their opening party September 12th, and seems to be doing quite well. The sounds of dance music welcomed us inside before we even got through the doors, and then were promptly greeted by Michele, who wins the award of coolest/nicest/most straightforward chick in town. 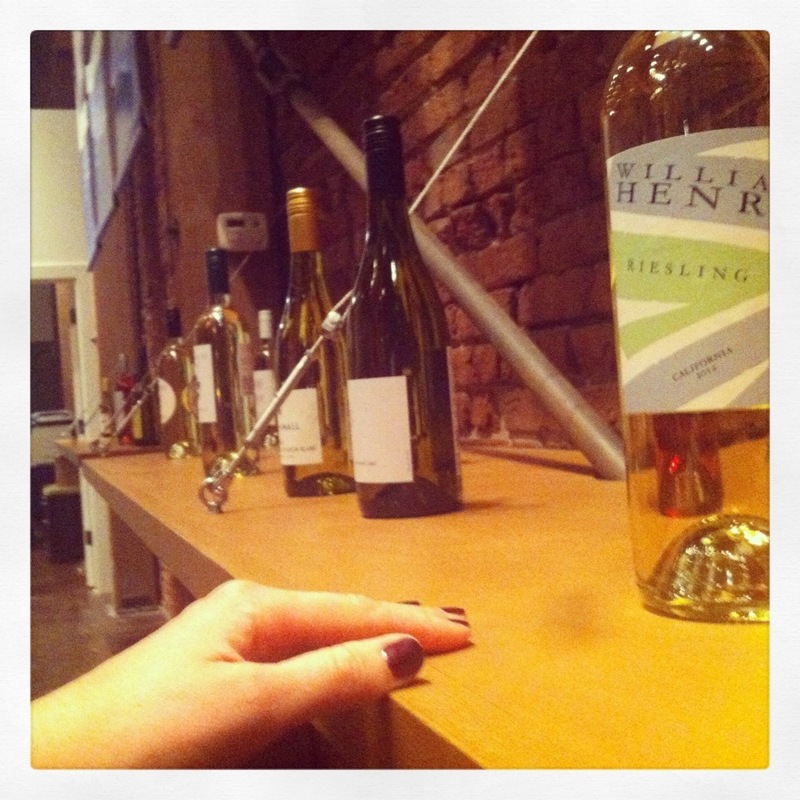 The walls were adorned with banners of local winemakers who chose to skip the middle man (distribution!) and go straight to the storefront. Beautiful featured bottles lined the walls (with a rotating list of 100 wines and a hilarious tongue in cheek wine menu). Angels (club members) get complimentary tasting – and they really encourage tasting a lot of their wines until you find something that grabs you. Michele had us try a variety of viogniers until we found the right one. 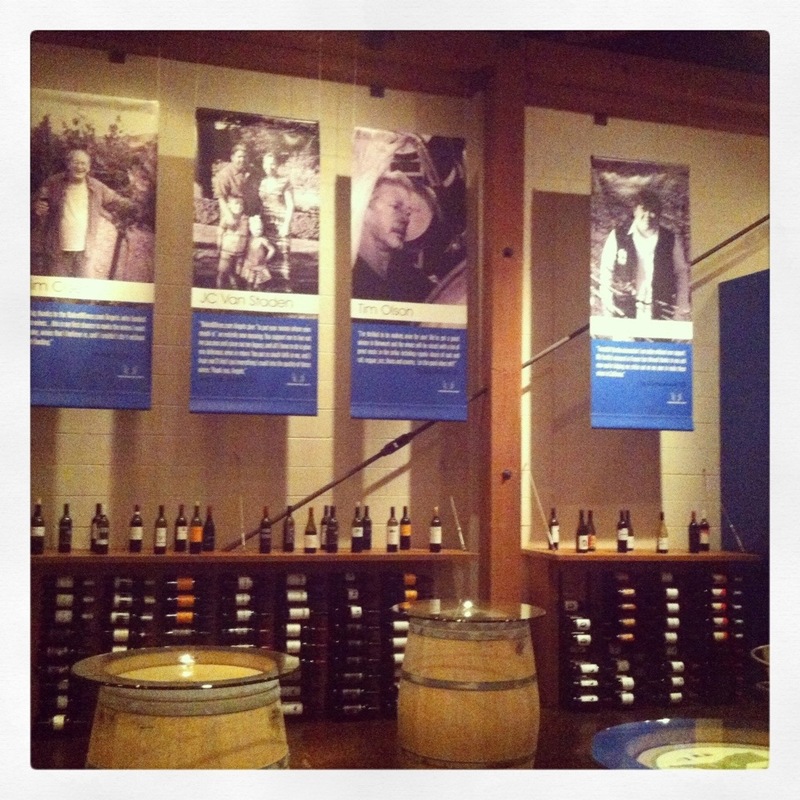 Don’t worry, their winemakers won’t look down on you…they are just literally hung above you on the walls. It’s tough to find free or low priced activities for the young wine aficionados of Napa – and I think I found my new place to hang out on a Friday night! NakedWines.com is open 10am-10pm Sunday through Thursday, and 10am-11pm Fridays and Saturdays. Awesome. Now, just because tasting can be free doesn’t mean we should all take advantage of their freeness…buy a bottle, for pete’s sake! Support them! 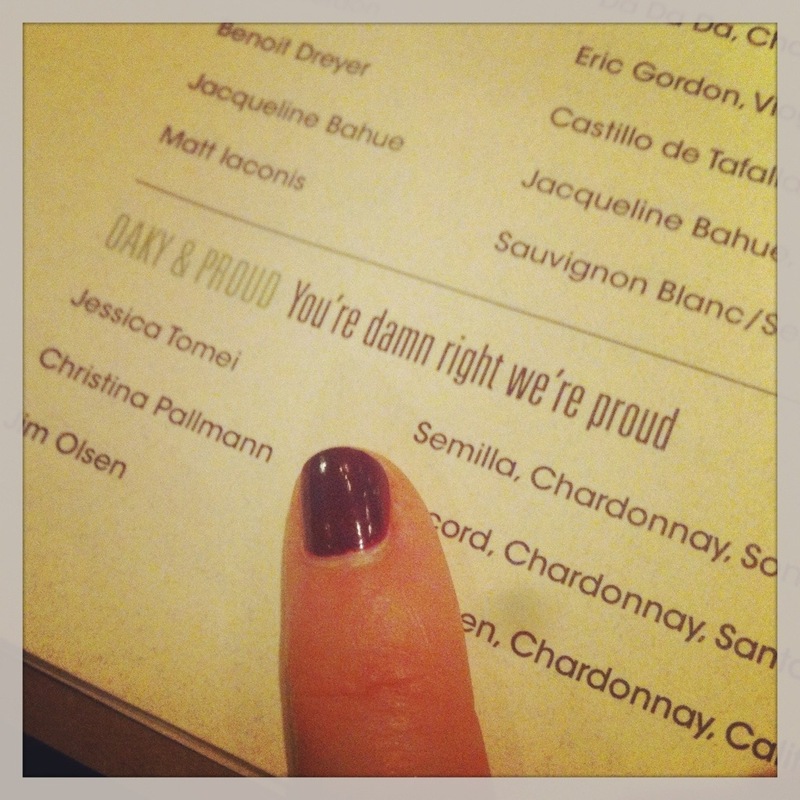 But the wine is so good, I don’t even need to tell you that. You’re going to want to anyway. As a local, you automatically get the Angel’s pricing (their wine club) with seriously deep discounts…even wholesale pricing! My friend and I both left the building, laughing hysterically, with bottles of Rose’ and Petit Syrah, for $8 and $12, respectively. They source wines from Australia, New Zealand, the Napa Valley and Argentina, among other places. Why is it so cheap? 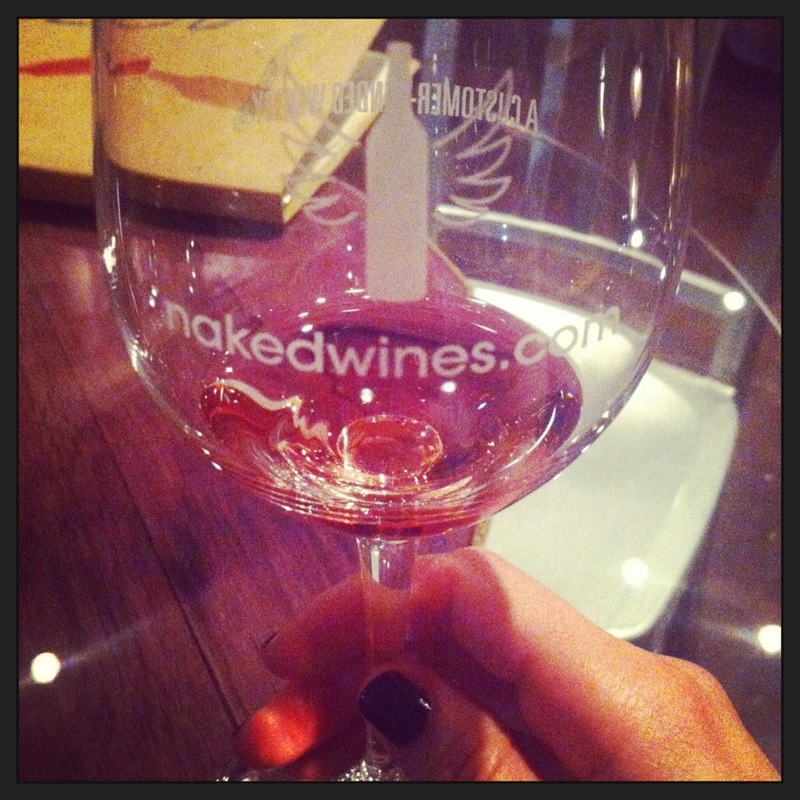 It is a customer funded winery, and the customers fund the winemakers to do what they do best – make wine! It is basically like a winery co-op. And I like that. I also like the lack of pretentiousness here – the servers are encouraged to talk with customers, sit down, try wine with them, and enable a fabulous time for all. I must note that, just because it is more laid back does not mean they don’t know their stuff. They do. We talked tannins and minerality and bouquets the whole time. But you don’t have to if you don’t want to, either. This is a very refreshing change of pace from many of the higher end, appointment only, I shall not open the gate for you without an appointment a year in advance wineries. Thank you! Go crazy. Get Naked. And get yourself downtown. Things are happening. Don’t worry, I’m not reallllly naked. While exploring downtown on a date, I spy an enormous rainbow peeking through the tall buildings and shifting sunlight, ending at the west side of the Willamette river. We hungrily chase the rainbow for blocks, laughing and running through “do not walk” signs, hoping for a better view as it fades into the sky. By the time we get to the waterfront, the rainbow has already disappeared, but our hunger has not. We look up and strike gold – happy hour at H5O is happening now! H5O, located within Hotel 50, and just across the street from the waterfront, has a happy hour that is well priced, filled with fancy people on vacation, and is just blocks from Pioneer Square. I love that H5O has many options for vegetarians and omnivores, and uses loads of local and organic produce in their menu. Order a mountain of truffle oil french fries ($4), shared easily between two ravenous diners, and ask for the house red ($6), for a generous pour of wine. “The Salad” ($3), is meager but pretty, with a refreshing vinaigrette of honey and shallot. The dungeness crab roll ($5), has some of the freshest crab I have tasted lately, paired with avocado and pickled mango. My date orders (and avidly compliments) the tomato bisque, made with rich cream and organic tomatoes. It arrives a vivid orange color, topped with chopped basil. Always of fan of a chic pink drink, I order the Cosmo-Not ($8), made with house-infused beet vodka. The visual effect is more similar to a bloody mary (I don’t get to hold a pink drink after all), but tastes fresh and is strong without being overpowering. Inside H5O, the waitstaff is impeccably dressed, and accommodating for substitutions (some restaurant happy hours will not accommodate menu substitutions, which can make or break your meal options if you have food allergies, like me) The decor is very modern- everything is shiny and new, with placemats that look like a million melted plastic yellow paperclips, and an impressive indoor crushed glass fireplace to sit around when it gets chilly. I am not a fan of the two televisions screens above the bar, or the parking lot view (try to snag a communal bench spot); but overall, the ambiance is high energy, and the music is upbeat. This is a place where you can dress up a bit and be surrounded by others on holiday- ready to jet off for a movie or shopping spree. Fab. Happy hour is Monday-Saturday, 3-7pm and 9-close, and all day Sunday. Let’s go! Guest Blogger Feature on Inspireyourlifestyle.com!